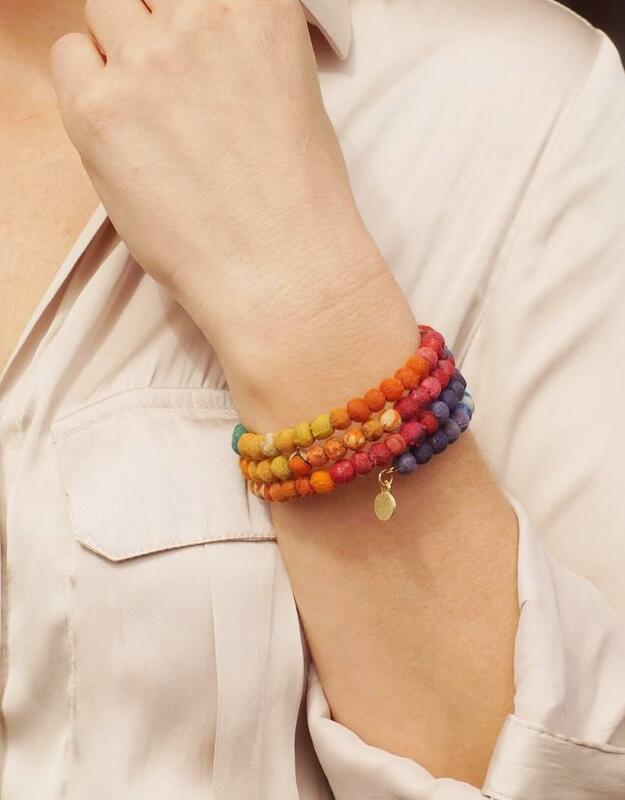 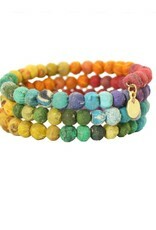 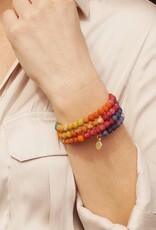 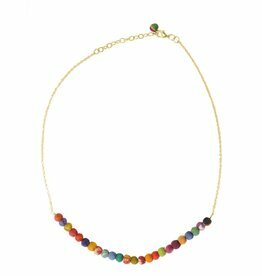 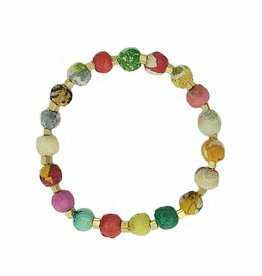 A rainbow gradient is formed by carefully selected sari beads strung on a wire. 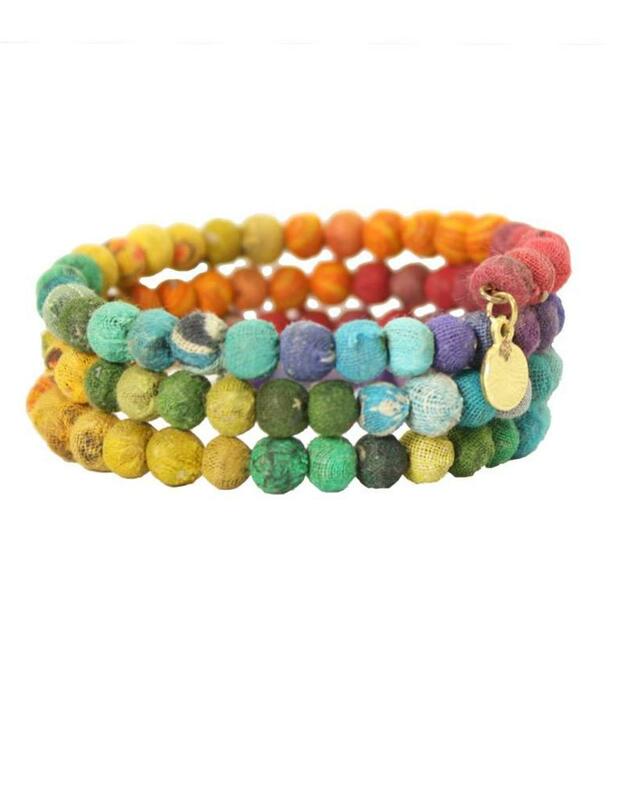 Made from recycled sari fabric. 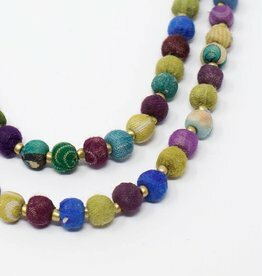 Learn more about how this jewelry is made!